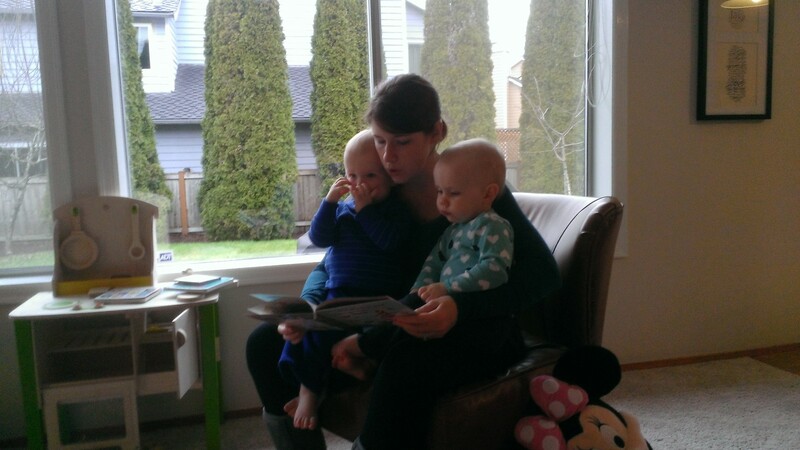 A Day in the Life At 18 Months | "In good writing, WORDS BECOME ONE with things." It almost feels silly doing a day in the life at eighteen months, because compared to the first time I did this at twelve weeks, it’s an absolute laugh. The new mom of newborns I was then could not even imagine how easy it would be now, and in fact would have resented anyone telling her it would be, because “now” was so far away. My “now” looks like laying on a hammock with a margarita compared to my “then.” But, that’s only by comparison. It’s still a ton of work, as we shall see. 6:15AM Henry is babbling in his bed. 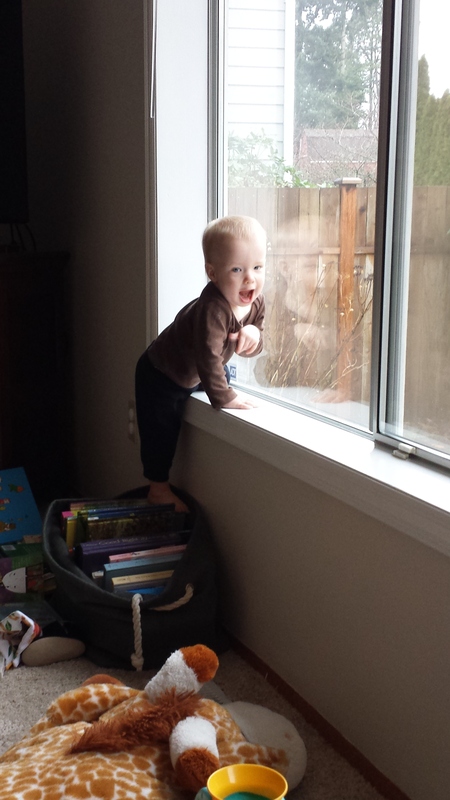 Since he can talk now, when he’s had enough babbling, he says “Mama, Mama!” which is as impossible to resist as it sounds. It’s also a bummer because I can’t lie to myself and say he’s loving life in his crib, and therefore buy ten more minutes. I pick him up and carry him into bed with us, where he lies next to me sucking his thumb and tenderly stroking my face. Bliss. 6:45AM Arden is awake. “Mama! Dada!” Mike runs to get her and we all pile in bed for cuddles and silly talk time. 7:15AM Mike is showering and I’m getting dressed for the day, after changing two diapers. I stall as long as possible because it’s more fun to hang out as the four of us than it is to go downstairs in the dark and start breakfast. How many more weeks until the sun is up at this hour? Infinity weeks? 7:30AM I carry the twins downstairs, thinking with every step that the day is approaching when I probably shouldn’t carry them at the same time, due to my burgeoning belly. But that day is not today, and I vow to do more down-steps practice with them later today. 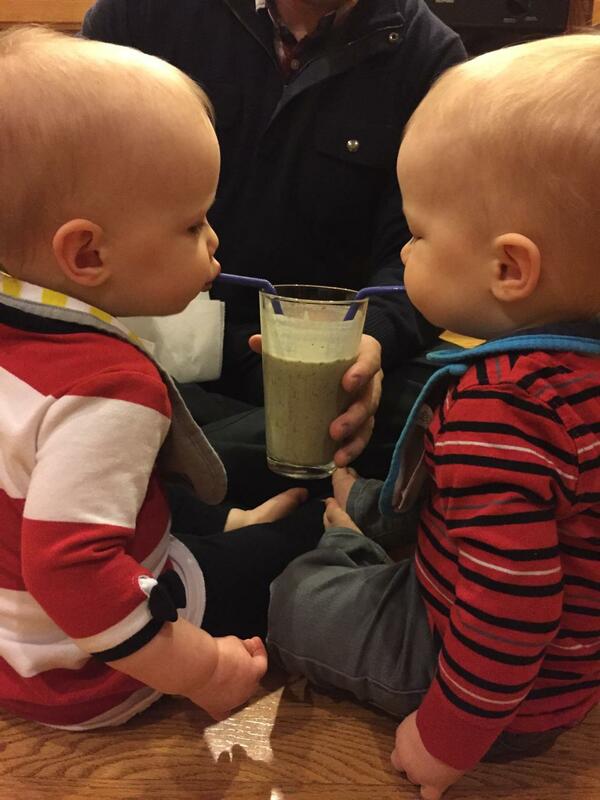 I make them a green smoothie (one glass, two straws), and we sit on the floor picnic-style while they slurp. 7:45AM I make Mike’s coffee and he joins us downstairs for a drawn-out Daddy goodbye. I then make my own breakfast of Greek yogurt, sliced banana, and a drizzle of honey. I sit in peace and read the latest on the interwebs while the twins play in the family room (in full view; I’m not a monster). 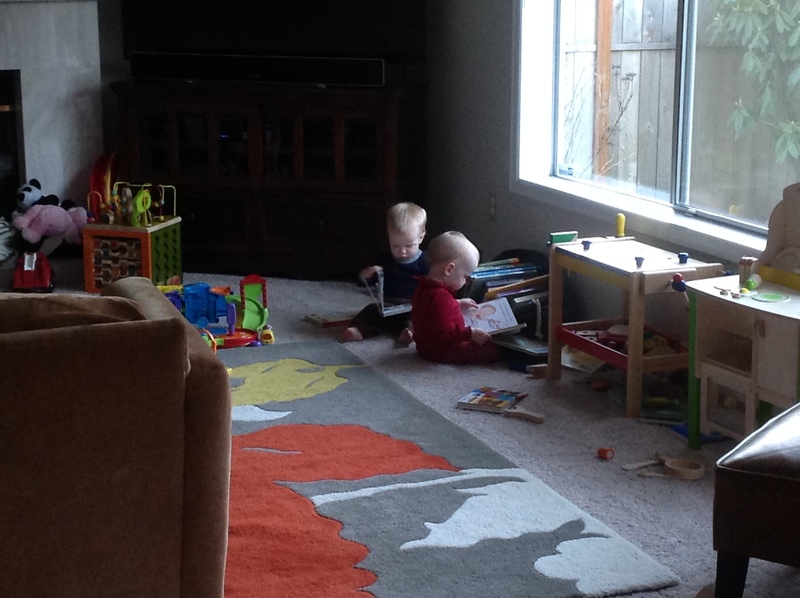 8:00AM We play, read, sing, look for the garbage truck if it’s Tuesday, and run around having fun. If it were Tuesday or Thursday we’d be prepping to leave for Mommy and Me class or Kindermusik (much, much more effort), but instead we’re just having a normal day at home. 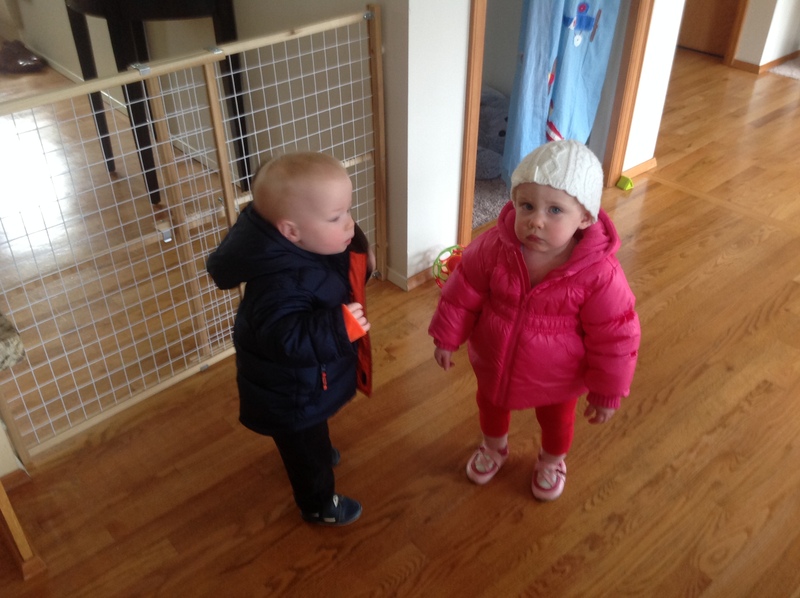 9:15AM I coax the babies upstairs to change into their clothes for the day, and realize I’m more than ready for the break that accompanies their nap. 9:30AM Down for naps! Now it’s time for some combination of: a workout DVD, shower, a devotional, quick emails/calendar updates, throw in a load of laundry if it’s laundry day, and eat a second breakfast (I am pregnant, after all). If I know my mom, dad, sister or mother-in-love are coming over to help, I’ll do everything but shower, using that precious time when they’re playing with the kids. 10:30AM The babies are awake and ready for the steel-cut oatmeal with cinnamon I’ve prepared. We do another picnic-style snack and then change diapers. 11:00AM The weather is cooperating so we head outside for a stroller walk — which sounds simple, but it takes considerable time putting on four shoes and four socks, two coats and two hats, along with my own shoes and outerwear. Especially if my little subjects are unzipping what I’ve zipped and untying my laces as I put on my jacket. 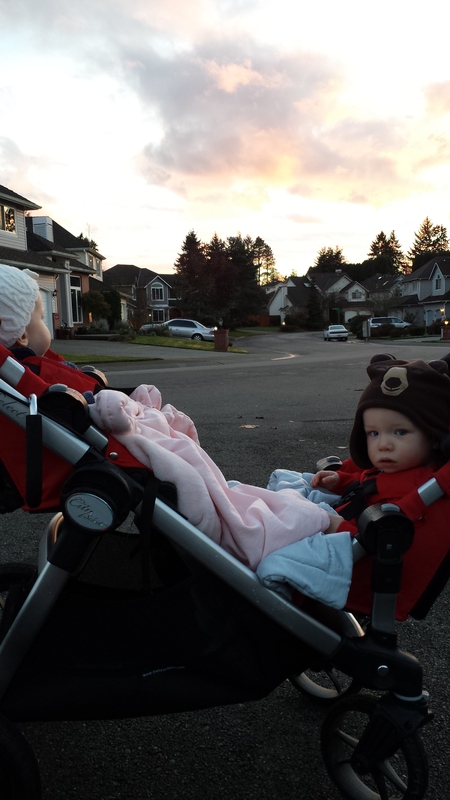 After our walk we spend time toddling around the front yard, easily their favorite activity. 12:00PM Let’s practice going down the stairs on our bellies, shall we? Let’s prep for the day when Mama can hardly bend at the waist. 12:30PM Lunch is upon us. I try to make something different every day, but it’s generally a rotation of the same five to eight things. They’re good eaters, thankfully. My mom arrived half an hour ago and is an enormous help in entertaining them while I prepare food and then helps feed them so I can make my own lunch too. Such luxury. 1:00PM While my mom watches the kids, I’m out the door for groceries or other errands, along with doing one “extra” chore of the day (like bathrooms or vacuuming, something beyond just daily cleanup). If she weren’t here, we’d make like players and play play play play play. Burn that energy! Stimulate those little minds! 2:40PM I use the first part of their nap/my break for dinner prep, so I make whatever I can ahead of time and store it in the refrigerator. 3:15PM Then…this as my true rest time. I get a snack, check my phone for messages to reply to, turn on a favorite show or grab a book, and force myself to sit for as long as possible. Sometimes I take a nap if my preggo body needs it. Mostly I just absorb the sweet, sweet silence and peace that I’ve come to treasure. 4:45PM After a little quiet wake up time, we head outside for another walk. It’s staying light later and later and we love the chance to get outside one more time. 5:15PM I make dinner while the kiddos play in the family room (again, fully visible). 5:30PM Mike is home! 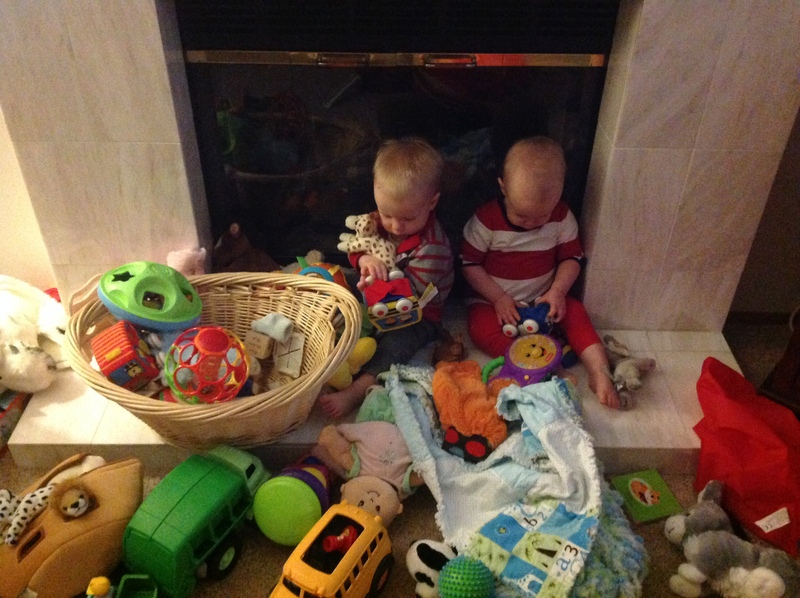 Praise the Lord, and the cacophony of twin joy descends on him as he lights up at the sight of them. 5:45PM Dinner is served and we soak up family time, all around the table together. 6:15PM Mike cleans the dishes while I play with the bambinos, and then he joins us for family play time. He turns on kid music and we dance around like fools and laugh hysterically at Henry and Arden’s moves. 7:10PM Bath time. In other words, their Happiest Place on Earth. 7:30PM Pajamas, diapers, tooth-brushing, lotion-applying, story-reading, prayers-saying, loves and kisses and hugs goodnight. 7:45PM Parent party time! Which looks a lot like Netflix and sweet treats. 10PM We’re in bed. Asleep. And I have to say, tired in the best possible way.